Voic Networks Pvt Ltd signed upwith Yealink, the global leading unified communication (UC) solution provider for distribution of wide range of VOIP phones and Conferencing solution through its strong channel partner network in India. The business cooperation between the two companies is to further their shared mission of delivering industry leading Yealink voice communication solutions to India businesses. It was a successful event and we seek support from you all in coming days as well . 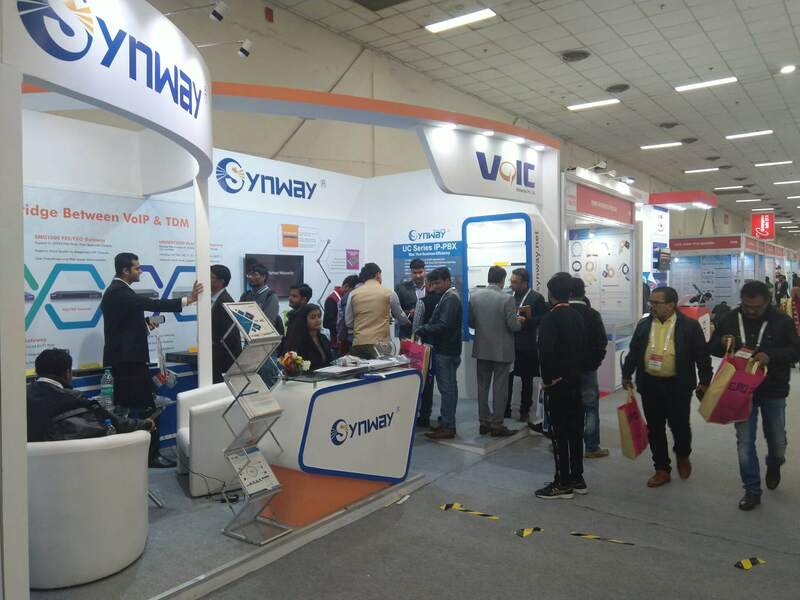 Global Leader of VOIP / Media Gateway's SYNWAY in association with VOIC Networks ,will be exhibiting at the 27th edition of India’s largest ICT show Convergence India 2018 which will be held at Pragati Maidan, New Delhi between 29 – 31 January 2018. This year, SYNWAY can be located at stall no. C-90 in Hall 11 catering to customers/Channel Partner's looking for solution in Telecom/VOIP/Unified Communication.